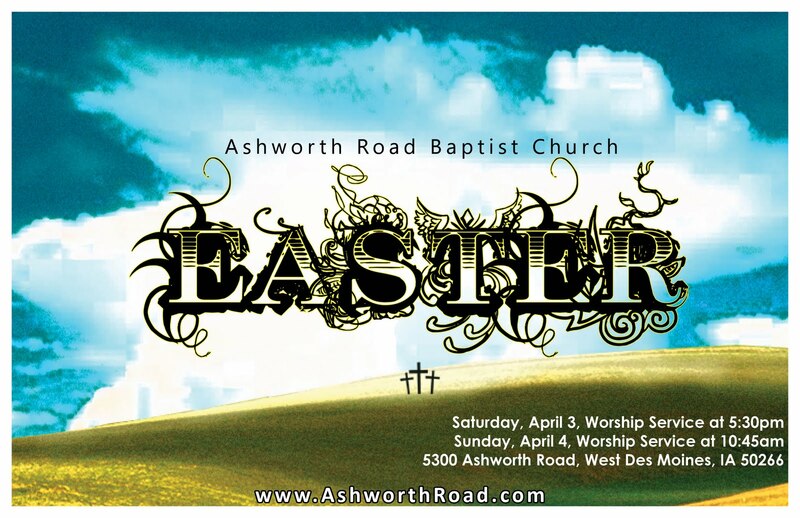 Here’s the graphic for the new series beginning the weekend after Easter at Ashworth Road. I’m very excited about it and can’t wait to begin sharing more about it next week! Last week I was honored to speak at a memorial service. The room was full and many offered meaningful words and shared memorable stories. As people processed by the casket, I stood at the door and greeted people as they departed the room. One of those toward the end of the line gripped my hand and whispered, “I don’t know how you do that. That’s got to be the hardest thing anyone could ever do.” While I didn’t take time to respond to those words, I thought about them. My conclusion was that it really depends on the person. You see, I am becoming convinced that you die like you live. Much of Jesus teaching was devoted to faith. He talked about saving faith with Nicodemus in John chapter three. Many of his conversations with the disciples centered on the subject of faith. And of course, he also talked about dying faith. I believe that life is God’s gift to us, and its purpose is to take the gift of life and use it to know God, love God, and trust God. It is through our living that we learn day by day that God can be completely trusted. Every day is a fresh opportunity to entrust our lives into the hands of God. If we can’t learn to trust God now, how will we ever face death? Maybe we shouldn’t begrudge our adversities, seeing that they serve a greater purpose. As we learn to trust God in our relationships, finances, employment and physical health we are learning that God can be completely trusted. We die like we live. That’s how Jesus died. Be sure to worship with the people of God this weekend! Last weekend I spoke on Jesus’ sixth statement from the cross, “It is finished” (John 19:30). After presenting a bit of word study, I spent the rest of the message focusing on the implications of the finished work of Christ on the cross according to the Apostle Paul in his letter to the Colossian church. For those who are interested, here are the seven implications from Colossians that I laid out. I want to encourage you to check out these passages from Colossians. Paul provides a wonderful explanation of the importance of the cross. At the conclusion of six grueling hours of suffering on the cross, Jesus said, “It is finished” (John 19:30). At first glance it would appear that the Son of Man had failed to accomplish his mission. Jesus came to establish his kingdom on earth where God’s will is done as it is in heaven. But as the leader of this movement, he wound up captured, tried, convicted, and executed. Those on the outside looking in could have easily assumed that Jesus wasn’t who they thought he was. Perhaps many felt what the two on the road to Emmaus felt when they said, “We were hoping he was the one who would deliver Israel” (Luke 24:21). What looked like failure was in reality victory. The cross was not a defeat reversed by the resurrection. The cross was the victory of God revealed by the resurrection! Have you ever been thirsty? When I was in high school I spent many a summer day working for farmers in the hay fields putting up hay. My fellow workers and I would trudge up and down the pastures with our hay hooks, throwing as many bales of hay as possible onto the wagon. When the wagon was finally loaded we’d climb on top and ride to the barn. After all of the hay was unloaded and stacked in the hay loft, we’d pause for a drink before heading back to the pasture to repeat the process. I remember drinking long and deep from those plastic milk jugs, listening to the farmer’s warning to not over do it. The promise of water somehow made the journey bearable. At the conclusion of the longest six hours any person has ever endured, Jesus said, “I thirst.” Christ has been on the cross nearly 6 hours. The work has been completed. The end is near. Jesus had, in every possible way, given everything he had to give. He is exhausted and physically depleted. One can only imagine the sense of thirst. As he exclaims that he’s thirsty, a solder takes a hysso, a javelin, and extends a sponge filled with “sour wine.” Sour wine was a Roman forerunner to our modern day Gatorade. It’s not to be confused with the drink offered in Mark 15:23, a wine drugged with myrrh, which was sometimes offered to those crucified. Jesus refused that drink, opting to experience the depths of suffering to its fullest. Jesus was parched. Famished. Empty. As I thought about Jesus total and complete gift, I thought of another Bible character that extended himself in ministry to the point of emptiness and depletion: Elijah. Elijah, who was Israel’s most celebrated prophet, reached a point during his career that left him totally exhausted. You can read his story in the Old Testament beginning in 1 Kings 17:1. After his famous “Mt. Carmel Showdown,” (1 Kings 18:1-46) Elijah experienced the “Mt. Carmel Meltdown” (1 Kings 19:1-4). Racked with fear and paranoia, he runs and hides from the threats of Queen Jezebel. What does God prescribe when we are empty? What does God provide when we’ve given until there’s no more left to give? What do we do when we teeter on the brink of burnout? Why do we run ourselves to the point of exhaustion? Perhaps we need to refocus on Jesus words in Matthew 11:28-30. Jesus said, “Come to me, all of you who are weary and carry heavy burdens, and I will give you rest. Take my yoke upon you. Let me teach you, because I am humble and gentle at heart, and you will find rest for your souls. For my yoke is easy to bear, and the burden I give you is light” (NLT). Sometimes we’re exhausted because we carry the right things. But more often than not, we’re exhausted because we carry the right things the wrong way. Or we carry too many things. Sometimes we pick up things to carry that are not for us to carry. Or we try to carry them alone. Before you pick up that next burden, pray and ask God if its yours to carry. If it is, ask God to help you, and look for a partner to handle the other end of the load.